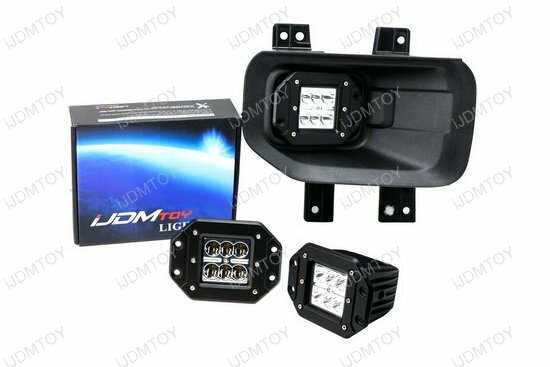 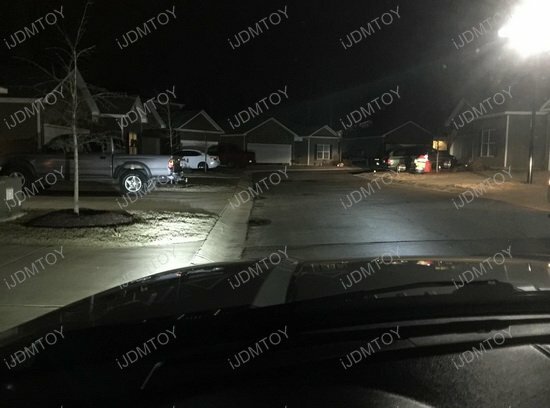 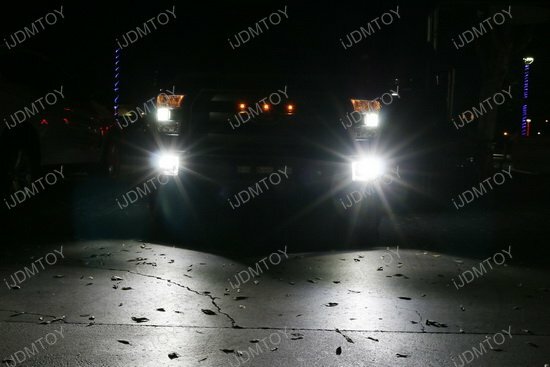 Q: Will this LED fog lights fit on my truck? 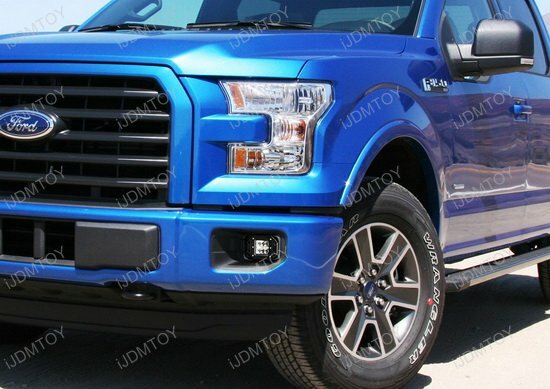 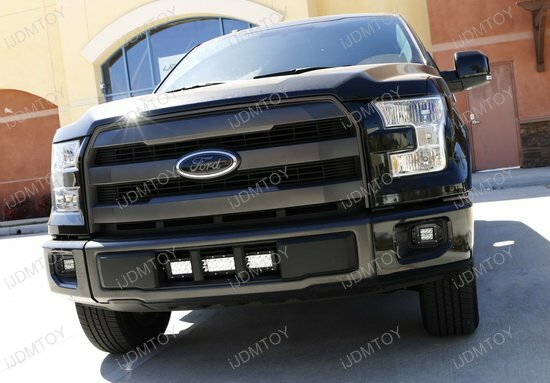 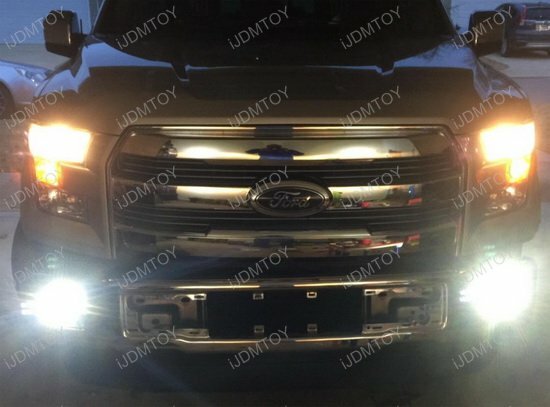 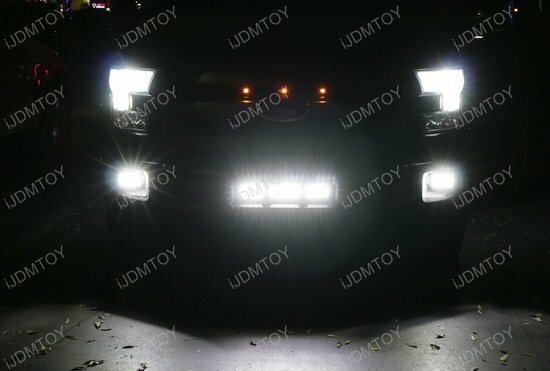 A: This LED fog lights will fit 2015-up Ford F150, 2017-up Ford F250 F350. 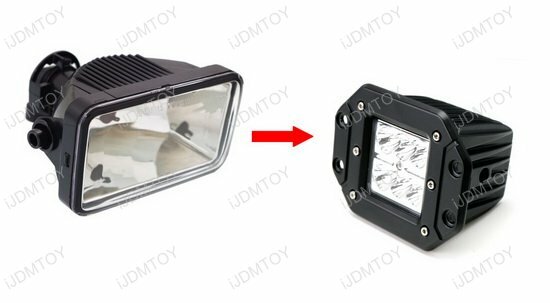 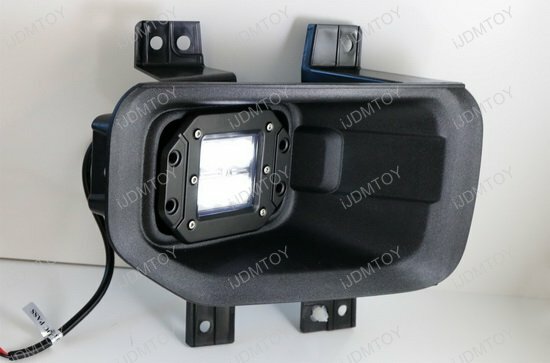 Please note: you need to have the existing fog lamps or purchase the OEM fog lamp bracket covers (OEM#FL3Z15266A & FL3Z15266B) in order to install this product. 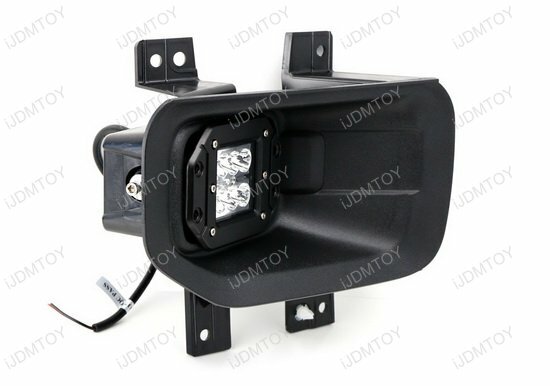 We recommend you to take off the these fog lamp bracket covers since this will make the installation much easier. 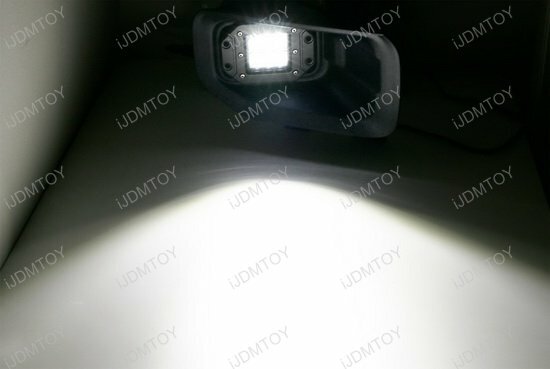 Q: Why is there a small gap in between the bezel and the LED pod light? 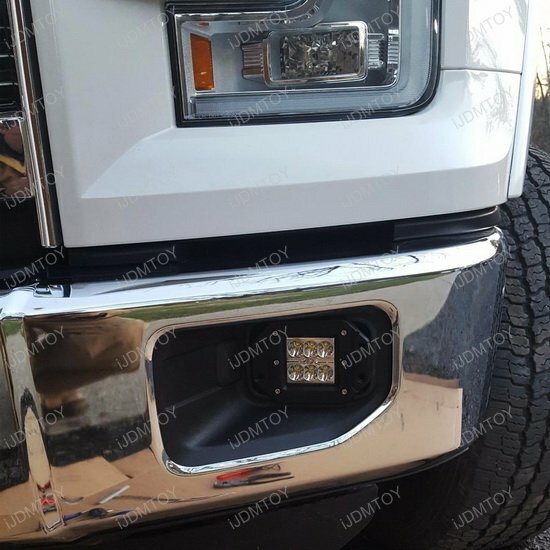 A: This small gap is an intentional multi-faceted design that allows for enough leeway so that you can adjust the leveling of your LED assembly so you can determine the angle you want the light output to shine. 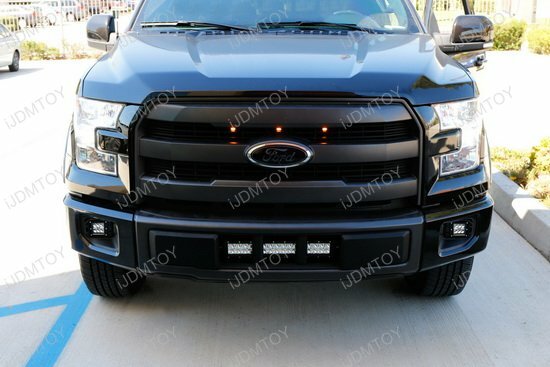 Plus, the gap is inspired by the aggressive Rigid style that suits the overall aura of the truck to give it a more intense look. 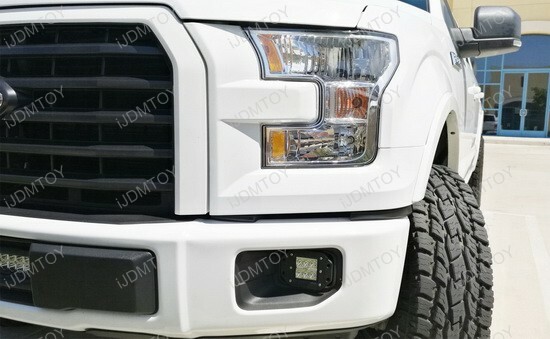 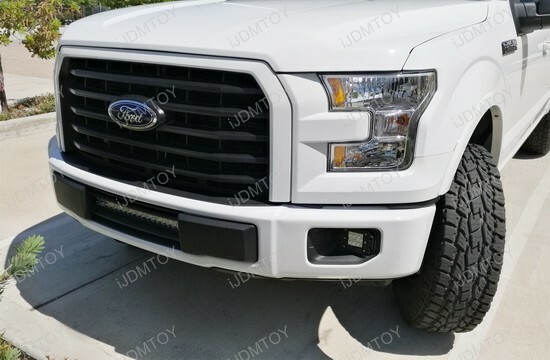 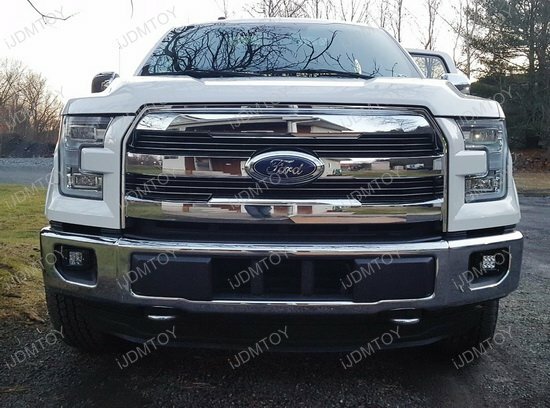 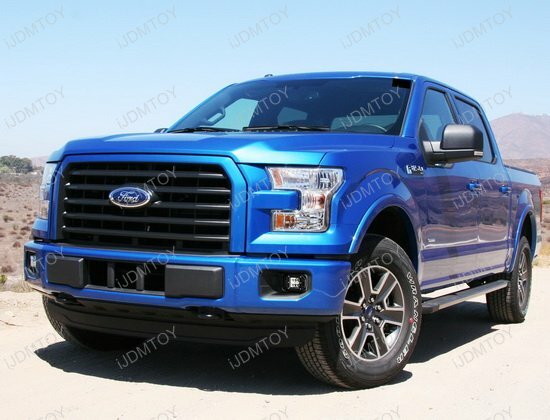 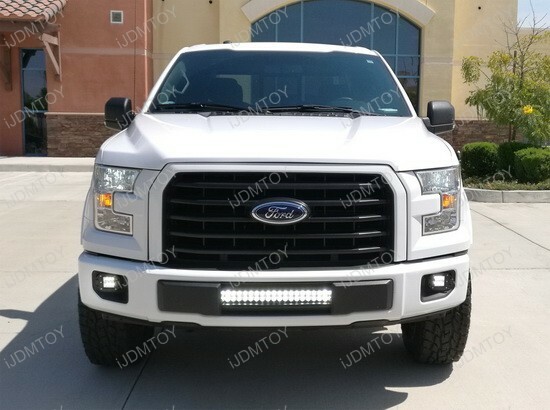 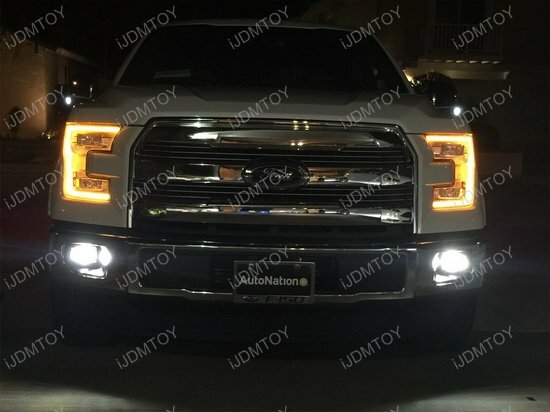 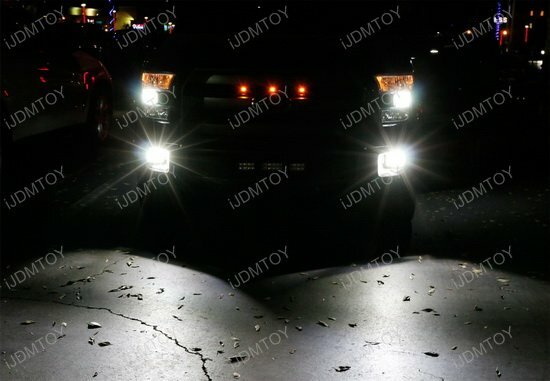 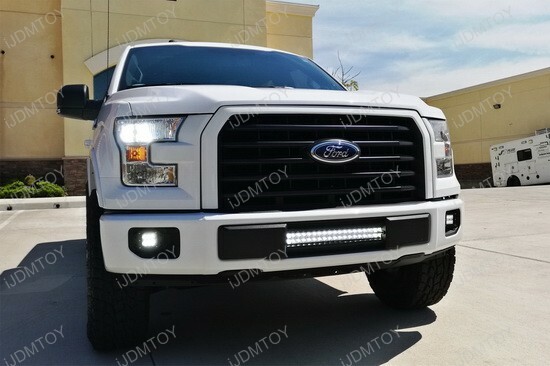 This page features a set of 24W high powered CREE LED fog light kit, specially designed for the all new 2015-up Ford F-150, 2017-up Ford F-250 F-350. 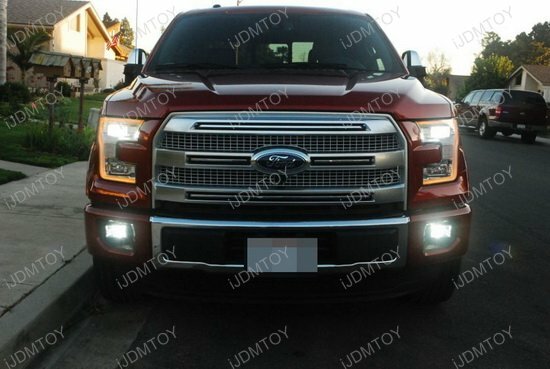 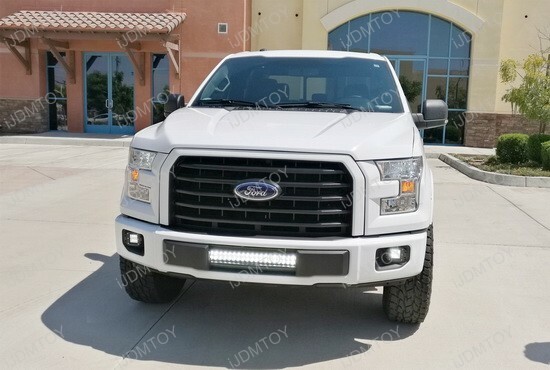 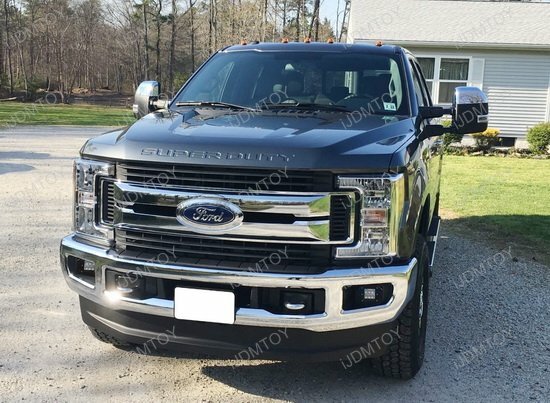 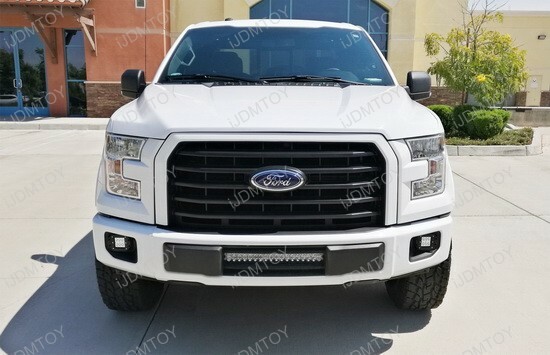 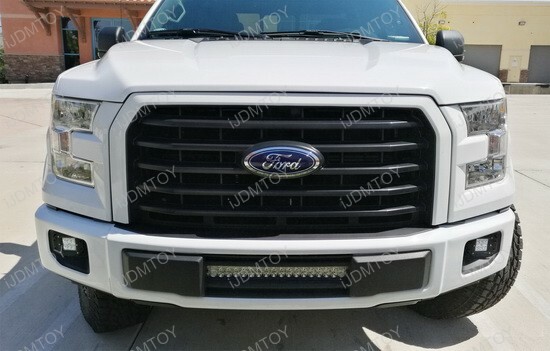 You will receive a pair of high power 24W CREE LED fog lamps to replace the F-150 F-250 F-350 original halogen fog lamps for an aggressive and rugged look. 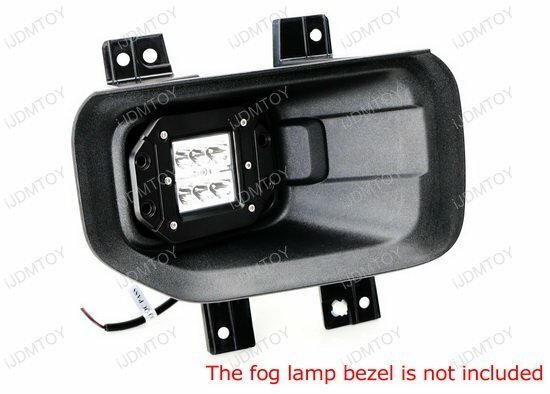 Please note: you will need your existing fog lamp bezels or purchase the OEM fog lamp bracket covers (OEM # FL3Z15266A & FL3Z15266B) in order to install this product. 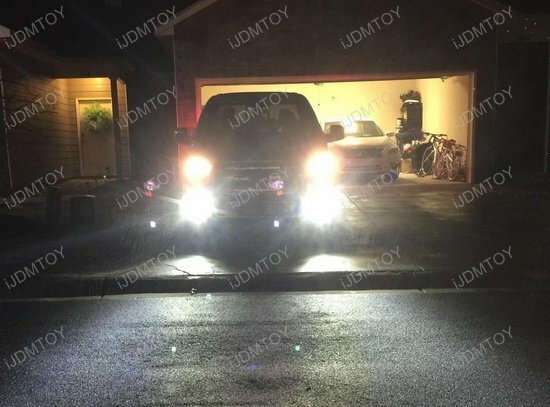 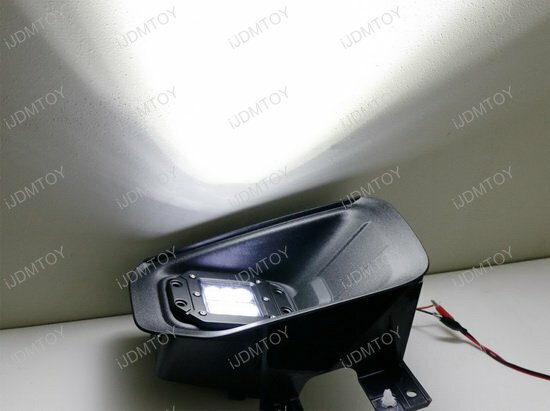 No replacement bezels will be included in your LED fog light kit. 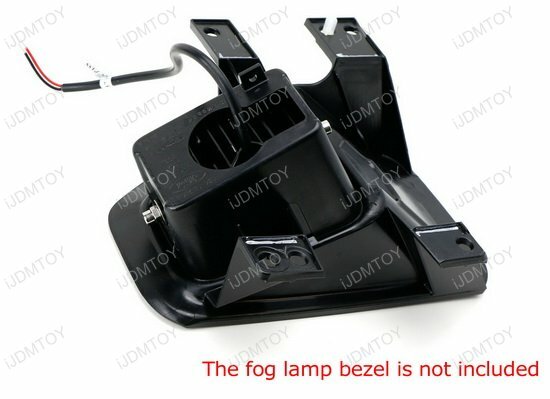 We recommend you to take off the fog lamp bracket covers since this will make the installation much easier.